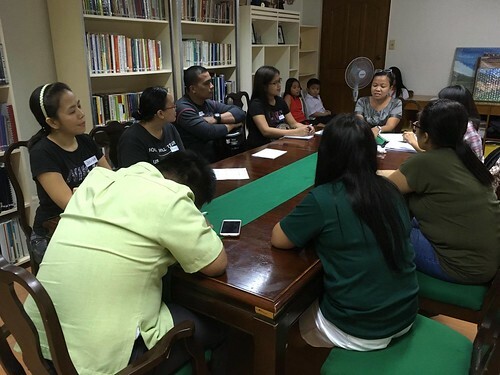 Ms. Beth Udquin, ASP UP Camp-Manila Vice President, served as a facilitator of the family support session last 21 October 2017 at the ASP National Headquarters. Ms. Beth led the group is discussing matters which are relevant to them are parents and caregivers of persons with autism. They talked about unexpected behavior, financial concerns, academic challenges, overcoming sensory issues and applied behavior analysis. The participants openly shared their unique journeys as families living with autism. They showed interest and understanding in hearing about the different situations they deal with daily. About the contributor. PWA John Christian Ambion finished a Bachelor of Elementary Education degree from the World Citi Colleges – Antipolo; and is keen on taking the Licensure Examination for Teachers. He now works as an Assistant Teacher at St. Catherine Special Learning Center of Antipolo, Inc., his alma mater.